GRAND RAPIDS, Mich. (RNS) -- Family Christian Stores, the largest Christian retail chain, filed for bankruptcy, seeking to restructure so it can keep its more than 260 stores open. Chuck Bengochea, president and chief executive officer, said the Grand Rapids, Michigan-based company “took on too much debt” due to declining sales and was hit by the 2008-09 recession and the digital revolution that has changed the sales of books, movies and music. 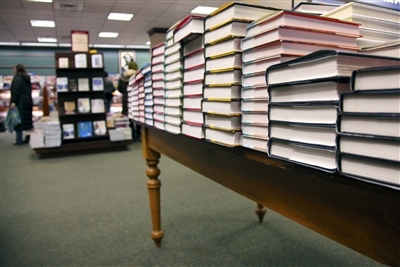 Brick-and-mortar bookstores across the U.S. struggle to remain open in a world of digital media and online shopping. Photo from Bigstock.com. “I wish that we had alternatives, but we do not,” said Bengochea in a video released last week to explain the restructuring plans. On Feb. 17, Bankruptcy Court Judge John T. Gregg in Grand Rapids ruled that the company could continue to function during the Chapter 11 bankruptcy process using money it receives from its operations, said the corporation's senior vice president, Steve Biondo. MLive Media Group reported that the chain, which has stores in 36 states, had $230 million in sales in 2014, down from $305 million in 2008. The company's website lists 24 stores in Florida. A question-and-answer page on the site indicates there are no plans to close any stores or lay off any of the more than 3,200 full- and part-time employees at Family Christian during the restructuring. “We made the decision after much prayerful consideration and only after working to cut costs and taking other steps,” company officials said on the website. -- Adelle M. Banks writes for Religion News Service. © 2015 Religion News LLC. All rights reserved. Posted here with permission. Florida Conference Connection managing editor Susan Green contributed to this story.